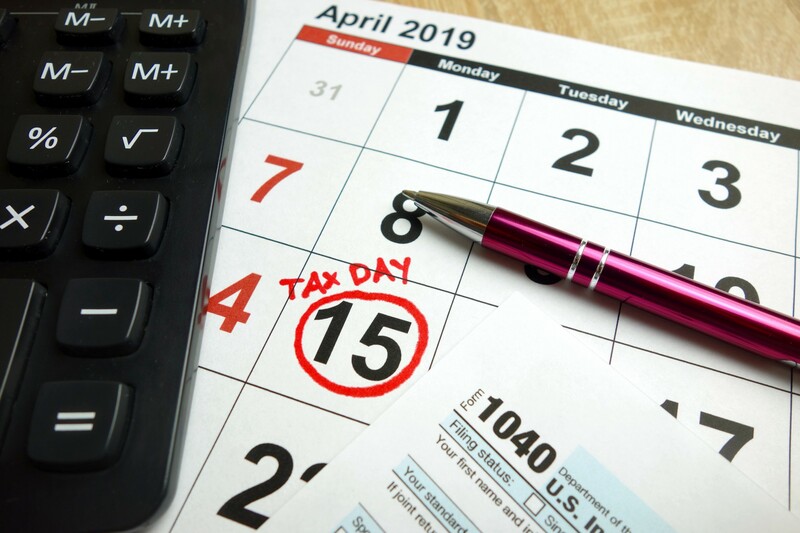 A: April 15 is tax filing day in the United States. It’s also the first Tax Day Americans will file under the new federal tax code. Congress passed the historic Tax Cuts and Jobs Act in 2017, ushering in a new era of lower taxes and unleashing a new era of economic growth. Since the historic tax law was enacted, the emerging economic data underscore its success. Reducing taxes triggers more investment and puts more money in people’s pockets. The typical family of four earning the median family income received a tax cut of $2,149. According to the Congressional Budget Office, 3 out of 4 dollars in tax cuts went directly to individual taxpayers and small business owners. That means consumers have more to spend, risk takers have more dollars to invest and entrepreneurs can access more capital to start a business. The numbers back up the free market principles driving economic growth, business investment, job creation, rising wages, bigger payrolls and more disposable income for U.S. households. Consider the facts. Since President Trump signed the tax cuts into law, annualized economic growth has averaged 3 percent, compared to an average 1.9 percent growth during the Obama administration; monthly job gains average 215,000, versus 110,000 in the eight years prior to the Trump administration; and private business investment is averaging 7 percent, compared to a 3.6 percent average during the previous administration. Plus, unemployment rates are at historic lows, including 4.7 percent for Latino workers and 6.7 percent for black Americans. Iowa is leading the way, reaching an all-time low 2.4 percent unemployment where it has been for eight consecutive months. Businesses are hiring, to the point where the number of job openings is exceeding the number of Americans looking for work. Instead of taking more money out of the economy to grow the government, the Tax Cuts and Jobs Act is leaving more money in people’s paychecks, triggering robust economic activity that’s generating more demand for workers and paving the way for the fastest wage growth in a decade. Restoring taxpayer dollars to those who earned them in the first place is welcome news for Iowans and reflects a rising tide of prosperity for more Americans. As a fiscal conservative who chairs the tax-writing Senate Finance Committee, I will continue advancing policies that encourage savings, investment and work. Q: What else from the Tax Cuts and Jobs Act is good news for taxpayers? A: In addition to providing tax relief, Congress sought to simplify tax filing season for individual taxpayers. Prior to enactment of the new tax law, the non-partisan Tax Foundation estimated U.S. businesses and American households would take 8.9 billion hours to comply with IRS paperwork in 2016. It also projected tax compliance would cost the U.S. economy $409 billion in 2016. That’s an awful lot of time and money that’s diverted to file taxes that could be put to more productive use for the economy. Imagine the possibilities if the amount of hours and resources used to file taxes were restored to individuals to plow into their work and businesses. For the last century, Congress has added to the compliance burden by expanding the tax code year after year. The Internal Revenue Code in 1955 reached 409,000 words. Six decades later, it was six times longer at 2.4 million words. That doesn’t even include the tens of thousands of pages of IRS tax regulations and tax-related case law that adds to the complexity and cost of compliance. As a result of nearly doubling the standard deduction and limiting itemized deductions in favor of overall lower tax rates, the new tax code should make it easier for many of the 150 million or so individuals who file a tax return while paying less. The Tax Foundation estimates the individual tax reforms will save taxpayers between $3.1 billion and $5.4 billion in compliance costs. From my leadership position as head of the Senate Finance Committee, I’m also steering bipartisan, bicameral legislation through Congress to modernize the IRS, upgrade technology, improve taxpayer services and strengthen taxpayer protections, such as adding better identity theft safeguards and making permanent the Volunteer Income Tax Assistance (VITA) matching grant program. Throughout my 39 years of holding Q&A’s with Iowans at my 99 county meetings, I have yet to meet anyone who says the tax-filing process is a walk in the park. I’ve talked to plenty of Iowans who are frustrated by bureaucratic red tape and poor customer service by the IRS. An Iowan once told me a stinging letter he received from the IRS could peel the paint off his walls. That’s why I’ve worked to enact taxpayer rights and whistleblower protections throughout my service in the U.S. Senate. The Taxpayer First Act of 2019 is yet another step in the right direction. Filing taxes may never be as enjoyable as a walk in the park, but I’ll keep working to take away the sting.